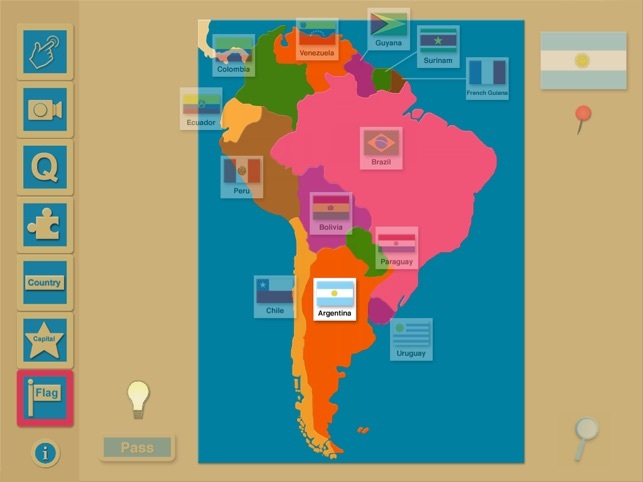 " ... the simplicity of [iWorldGeography] means that children will be able to focus completely on the contents and they'll definitely learn the material ... "
"We love the simplicity of [iWorldGeography] and the friendly navigation system. 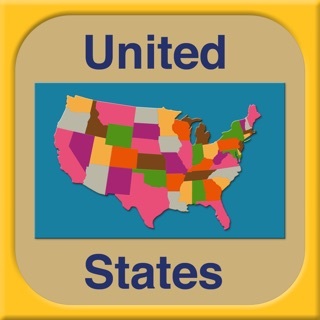 Little kids can virtually use this app on their own and figure it all out seamlessly." 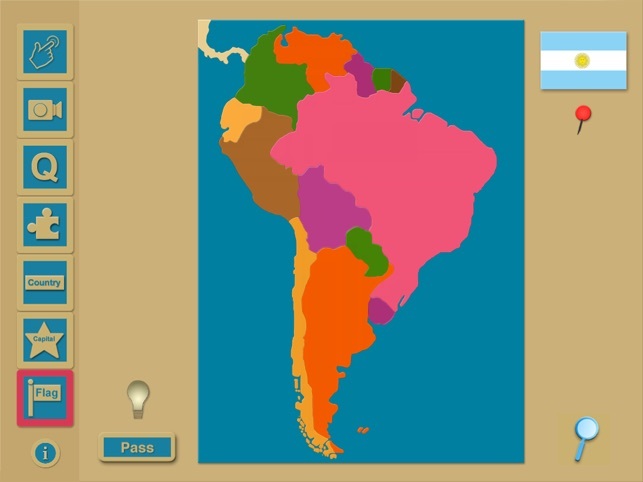 • --- Control Map - Touch lightbulb to show-and-hide map with answer highlighted. 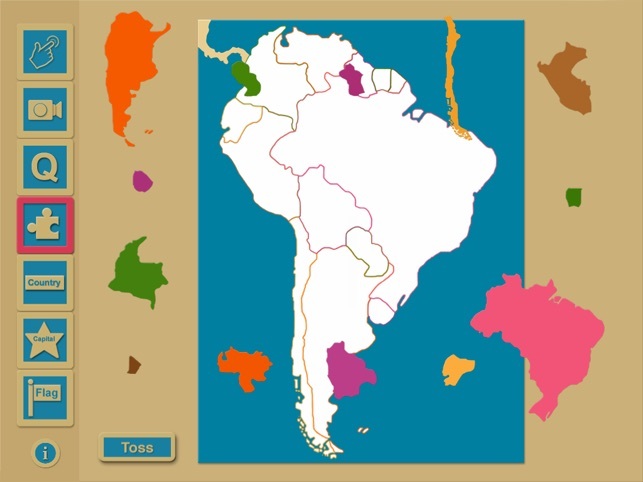 Following American Montessori Society curriculum and materials, Central America is handled in a separate lesson. iWorldGeography Central America is available in the iTunes App Store. 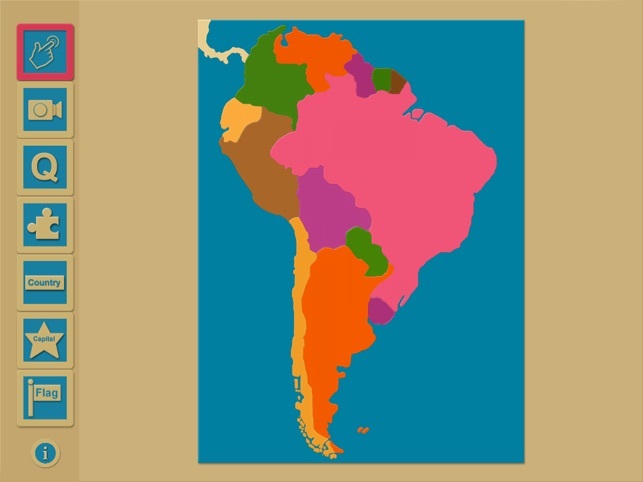 South America has always worked perfectly. Most recently, South America was rigorously tested by Apple and sailed through its update to iOS 11.
just want to learn, I recommend that you click/touch "App Support" to contact the developer who immediately responds to all customers who reach out. I'm sorry that you've had trouble. There is sound and it works perfectly. The app stated there would be sound and there is not sound to pronounce. 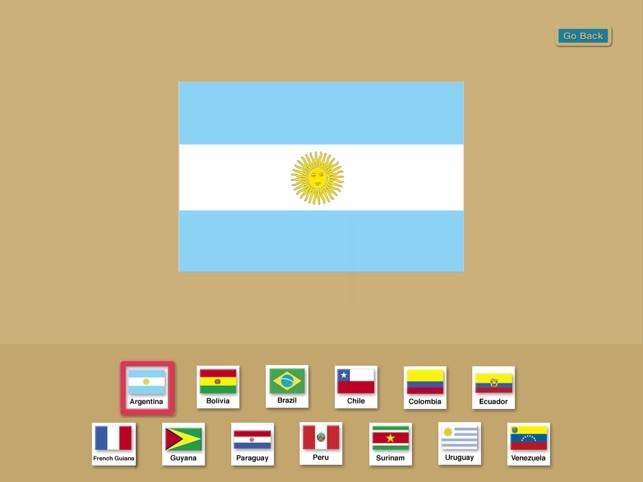 I think that it's a great app for kids. I'm looking forward to seeing more continent apps in the future.